William J. 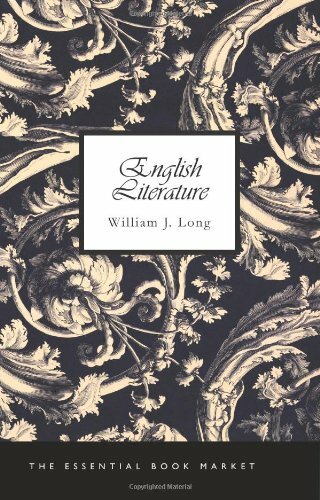 Long's presentation on the history of English literature from Anglo-Saxon times to the close of the Victorian Era. The book has three specific aims: (1) to create or to encourage in every student the desire to read the best books, and to know literature itself rather than what has been written about literature. (2) To interpret literature both personally and historically, that is, to show how a great book generally reflects not only the author's life and thought but also the spirit of the age and the ideals of the nation's history. (3) To show, by a study of each successive period, how our literature has steadily developed from its first simple songs and stories to its present complexity in prose and poetry. The book offers new arguments about the origins of detective fiction in the US, tracing the lineage of the genre back to unexpected texts and uncovering how authors made use of the genre's puzzle-elements to explore the dynamics of race and labor. This work is an endeavour to apply some of the methods of psychoanalysis to literature. It attempts to read closely between the lines. It applies some principles in interpreting literature with a scrutiny hitherto scarcely deemed permissible.